LAHORE: (Wednesday, June 7, 2017): Punjab University College of Earth and Environmental Sciences (CEES) has organized an awareness seminar in connection with World Environment Day. CEES Principal Prof Dr Sajid Rashid, faculty members and a large number of students were present on the occasion. 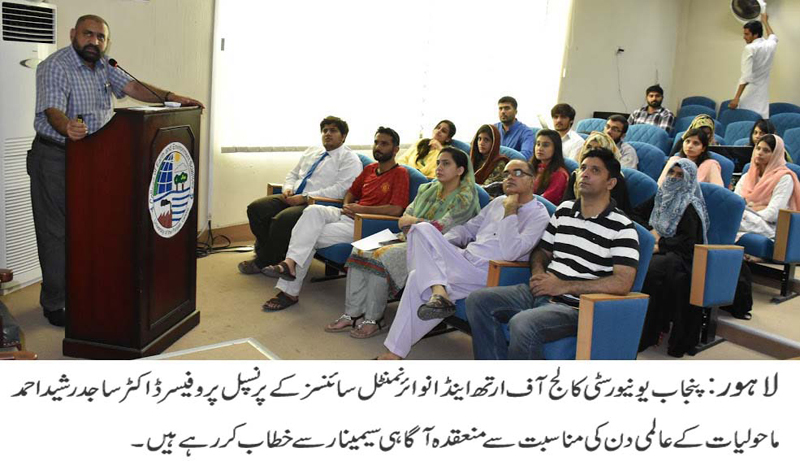 Addressing the seminar, Dr Sajid Rashid said that every day must be observed as environment day. He also announced to launch social media channel containing awareness material regarding environment protection. A documentary was also screened on the occasion.